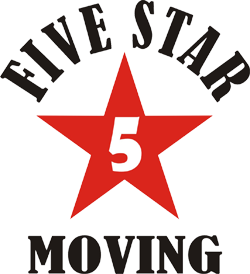 Five Star Moving Las Vegas has been proudly moving our customers since 2002. Our team enjoys being an important part of our customers lives both now and in the years to come. Moving can be stressful, but with Five Star Moving you can rest assure that our professionals will treat your belongings with the same care we would treat our own. We go above and beyond for our customers because we care. Customer service is our number one priority. We set high standards of performance, encourage customer feedback, and strive to consistently exceed customer expectations. We know that our success depends solely on your complete satisfaction. This attitude coupled with word of mouth advertising and quality service has made us one of the most trusted moving companies in the industry. Five Star Moving is a family owned moving company. We are licensed, insured, bonded for your protection. We ensure the quality of your moving experience by using trained professional movers and the proper moving equipment for the job at hand. We have always offered affordable moving services to our customers, providing personalized service that makes our customers feel more like family than a mere client. That’s how we would want to be treated, and that’s how we treat you – we live by the golden rule, and it’s served us well over the years. Moving can be a stressful time, whether you need to move your belongings from your small apartment or from your five bedroom home, it puts a lot of pressure on you. That’s why when it comes to moving so many people chose Five Star Moving. We carry your heavy burden, without you breaking a sweat. For more information please call our office at 702-936-0152. Hiring professional movers is an important investment and you should never have to settle for poor service or outrageous prices. If you’re looking for a reputable moving company that offers premium service for any budget, you will be pleased to discover Five Star Moving! From pro athletes, celebrities, and homeowners just like you, we offer luxury moving services that are tailored to the individual needs of each client. We believe that everyone should be provided with the same level of quality service and courtesy, regardless of relocation size or scope. 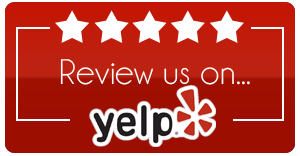 With a reputation that tops the chars on Yelp, Angie’s List, Google, Facebook and more, we are certain that you will be completely satisfied from start to finish! We commit 100% of our energy toward serving our clients and those they refer to us. We rely on people like you for your endorsement to others. To us, your satisfaction is critical. No matter what the job, we at Five Star Moving hold ourselves to the highest standards of excellence and strive to be the best moving company in the industry. Since 2002, Five Star Moving has offered affordable moving services to our customers, providing personalized service that makes our customers feel more like family than a mere client. That’s how we would want to be treated, and that’s how we treat you – we live by the golden rule, and it’s served us well over the years. Moving can be a stressful time, whether you need to move your belongings from your small apartment or from your five bedroom home, it puts a lot of pressure on you. That’s why when it comes to moving so many people chose Five Star Moving. We carry your heavy burden, without you breaking a sweat. Unfortunately we have seen people suffering from dishonest and shady moving companies over the years. We promise you will get exactly what you are looking for. All charges will be clearly outlined during your conversation with our moving consultant before your move, and we will not nickel and dime you for hidden fees OR deceptive charges that other moving companies are notorious for: shrink wrap, stairs, weekends, fuel charges, mileage, double drive time or after hours charges, etc.